Laura Brewer received her Bachelor Degree in Special Education Teaching and an Associate’s Degree in Interdisciplinary Studies at MWSU. She has taught at Mid-Buchanan RV and the St. Joseph School District for a total of 13 years. 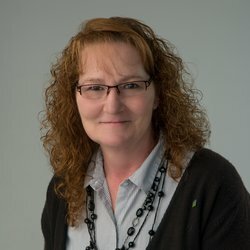 In 2012, she took a temporary position working as the Administrative Coordinator for the DRJP (Disaster Recovery Jobs Program) through Mo-Kan at the Missouri Career Center. In this position she coordinated participants with job duties, monitored job sites, reviewed bi-weekly timesheets, and met with the U.S. Department of Labor, Northwest Regional Council of Governors, MO State auditors, and other local officials. Laura was fortunate to become employed at the Missouri Career Center in December 2012 as a Career Counselor. Laura has had the opportunity to Working with clients in the areas of; Welcome, Skills, and Jobs. Currently she is the OJT (On the Job Training) Lead Person. In this position, Laura utilizes OJT NEG grants which provide on-the-job-training opportunities to many unemployed individuals while building the capacity of the workforce investment system and assisting in economic recovery. OJT participants are given a chance to develop applicable occupational skills while earning a paycheck.Employers participating in OJT program receive partial reimbursement to offset the extraordinary cost of training workers. OJT assists workers become proficient in needed skills quickly, encouraging employers to hire workers sooner than perhaps initially planned, facilitating private sector hiring and spurring economic growth.